NPSFL plays full contact football following NCAA rules. Merrionette Park, which starts at 3 pm. Enforcers travel to Los Angeles to play the NPSFL championship runner up LAPD Centurion’s. Game” vs. the Chicago Fire Department Blaze on Sunday June 4th. WHAT: The Chicago Police Department, in collaboration with Centers for New Horizons, is hosting a Gun Turn-In Event. During this event, community members will receive a $100 gift card in exchange for every gun turned in and a $10 gift card for each BB-gun, air-gun, or replica firearm – No questions asked! WHEN: SATURDAY, May 14, 2016 10:00 a.m. until 2:00 p.m.
WHO: Chicago Police Department personnel, Center for New Horizons personnel, volunteers, and community members. The Chicago Police Football Team the “Enforcers” are entering their 10th season in the National Public Safety Football League, which is made up of twenty teams from all over the country. Head coach Greg Zaragoza welcomes several new and exciting players to the team. 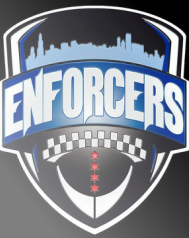 The Enforcers are made up primarily of sworn members of the Chicago Police Department, but also include players from the Cook County Sheriff’s Office, as well as other local agencies. 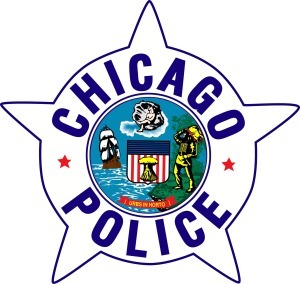 The Chicago Police Enforcers are a recognized 501c3 organization and, over the course of nine seasons, have raised approximately $100,000 for various local charities. The NPSFL plays full contact football following NCAA rules. The Enforcers’ season kicks-off Saturday, March 21st in San Diego and then continues in Cleveland on April 11th. The highlight of the season will be May 16th when the Enforcers take on the LAPD Centurions in a battle of two of the largest and proudest police departments in the country. The Enforcers will also host the Columbus Marauders in their annual Gold Star Game on Saturday May 2nd. The Gold Star Game commemorates and honors members of the Chicago Police Department who made the ultimate sacrifice. The Enforcers are coming off a successful 3-2 campaign in 2014 and are looking forward to making a run at another National Championship. 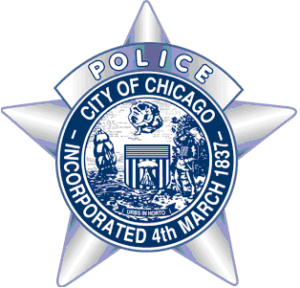 The Chicago Police Department will be conducting a DUI Strike Force Patrol in the Albany Park (17th) District. The DUI Strike Force Patrol will commence at 7:00 p.m. on Saturday, February 7th, 2015 and end at 3:00 a.m. on Sunday, February 8th, 2015. In addition, the Breath Alcohol Testing (BAT) Mobile Unit may also be deployed to allow officers to expedite the process of charging a person with Driving under the Influence (DUI) prior to transporting an alleged into the nearest lockup for bonding. The mobile unit also allows for Individual Recognizance Bonds (I-Bonds) to be issued at the site of the DUI Strike Force Patrol. 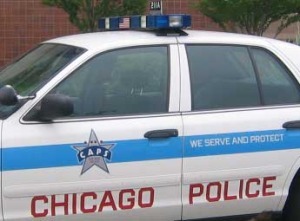 The Chicago Police Department will be conducting a DUI Strike Force Patrol in the South Chicago (4th) District. The DUI Strike Force Patrol will commence at 7:00 p.m. on Friday, February 6th, 2015 and end at 3:00 a.m. on Saturday, February 7th, 2015.